Access to clean and affordable energy is a prerequisite for sustainable development of mankind, and refugees are no exception. Refugee camps across the world house more than 65 million people, and almost all refugee camps are plagued by fuel poverty. Needless to say, urgent measure are required to make camps livable and sustainable. Rapid advancements in renewable energy technologies have made it possible to deploy such systems on various scales. The scalability potential of renewable energy systems makes them well-suited for refugee camps, especially in conflict-afflicted areas of the Middle East, Asia and Africa. Renewable energy in refugee camps can be made available in the form of solar energy, biomass energy and wind energy. Solar panels, solar cooking units, solar lanterns, biomass cookstoves and biogas plants are some of the popular renewable energy technologies that can improve living standards in refugee camps. It is important to focus on specific needs of refugees and customization of technology towards local conditions. For example, solar technologies are better understood than biogas systems in Jordan. 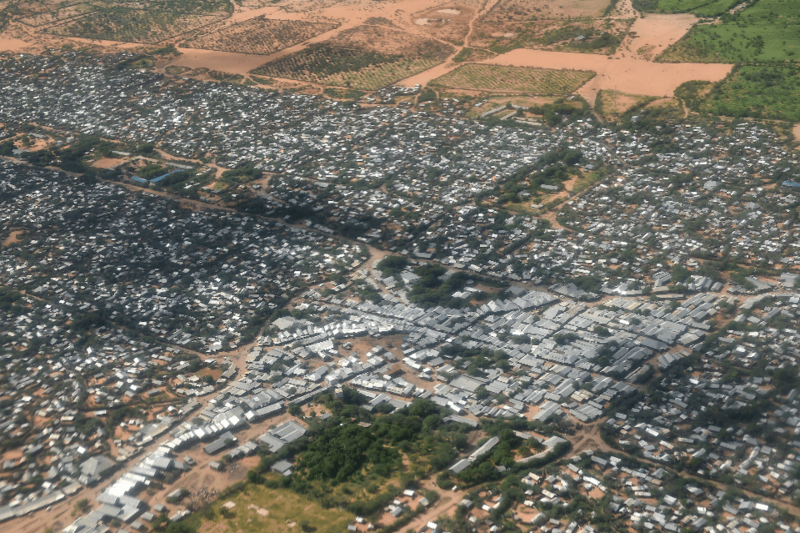 Solar energy can provide long-term resilience to people living in refugee camps. With many camps effectively transformed into full-fledged towns and cities, it is essential to harness the power of sun to run these camps smoothly. Solar cookers, solar lanterns and solar water heaters are already being used in several refugee camps, and focus has now shifted to grid-connected solar power projects. 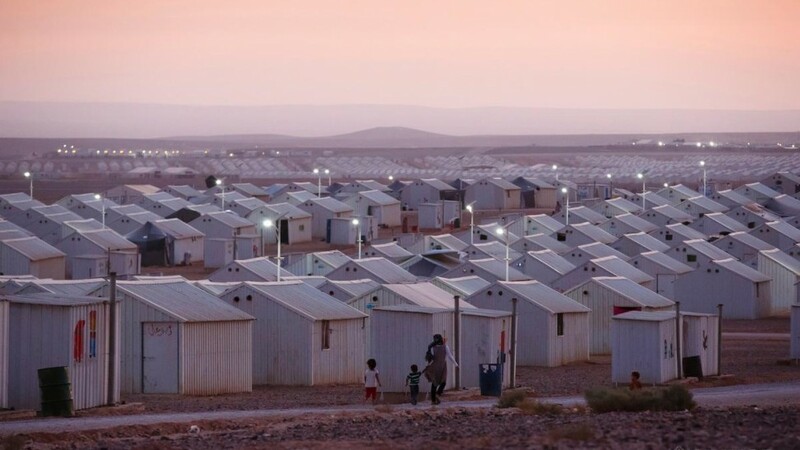 The 5MW Azraq solar project is the world’s first grid-connected renewable energy project to be established in a refugee camp. The project is being funded entirely by Ikea through the Brighter Lives for Refugees campaign. The program, now in its third year, seeks to improve the lives of refugees around the world by providing access to sustainable energy supplies. Due to lack of land and resources, refugee camps puts tremendous pressure on natural vegetation, especially supply of fuel wood to camp-dwellers. Replacement of traditional stoves with efficient biomass-fired cook stoves can save as much as 80% of cooking fuel. Instead of wood, it would be also be a good option to use agricultural wastes, like husk and straw. Another interesting proposition for refugee camps is to set up small-scale DIY biogas plants, based on human wastes and food residuals. The biogas produced can be used as a cooking medium as well as for power/heat generation. Small wind turbines can also play a key role in providing energy to dwellers of refugee camps. Such turbines are used for micro-generation and can provide power from 1kW to 300kW. Majority of small wind turbines are traditional horizontal axis wind turbines but vertical axis wind turbines are a growing type of wind turbine in the small wind market. Small wind turbines are usually mounted on a tower to raise them above any nearby obstacles, and can sited in refugee camps experiencing wind speeds of 4m/s or more. Renewable energy systems have the potential to improve living standards in refugee camps and ease the sufferings of displaced and impoverished communities. Solar panels, biogas system, biomass stoves and micro wind turbines are some of the renewable energy systems that can be customized for refugee camps and transform them into a less harsh place for displaced people.